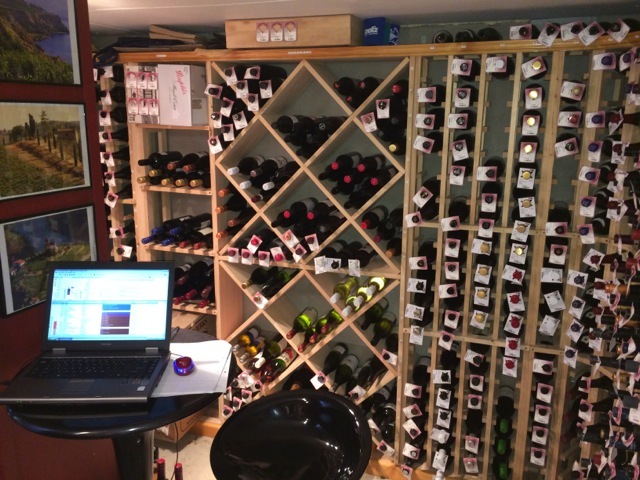 Still love this cellar management program after 10 years!! 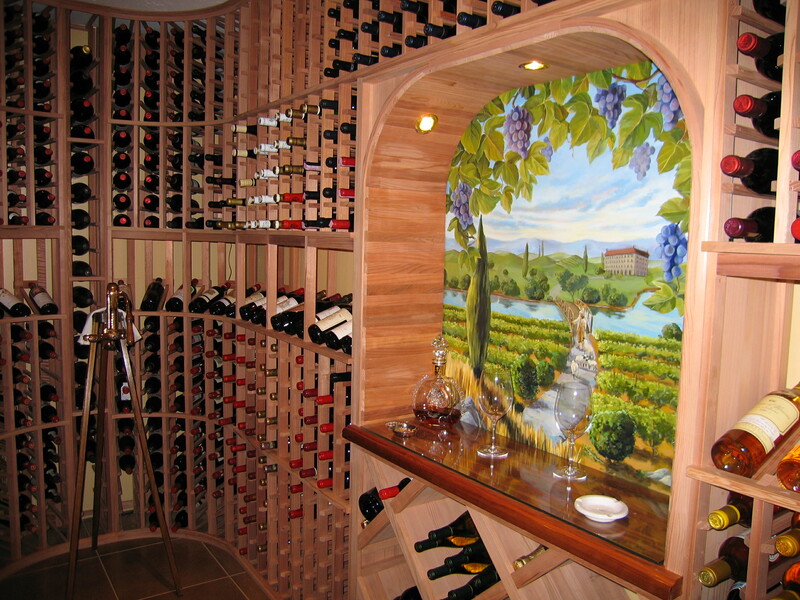 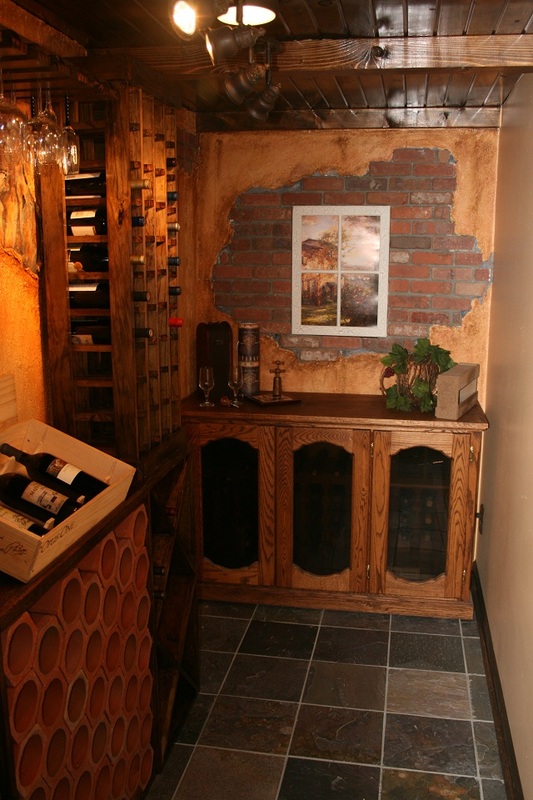 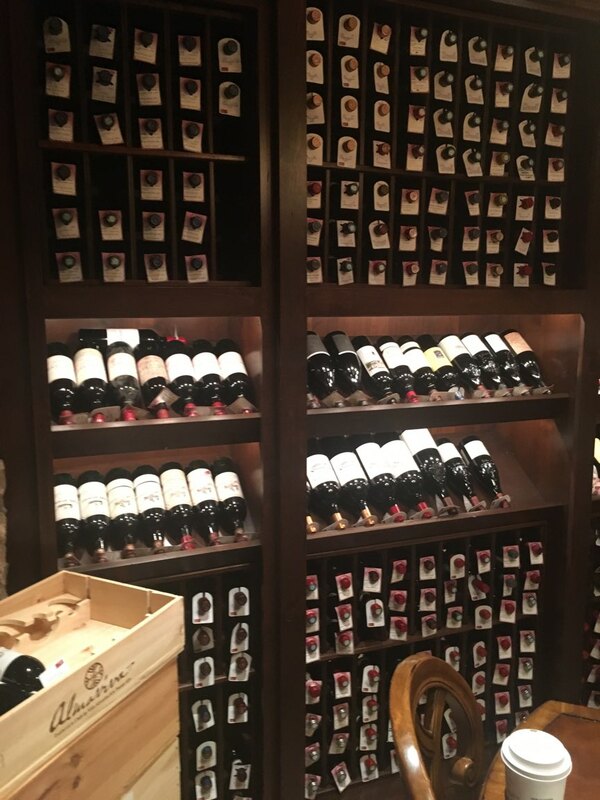 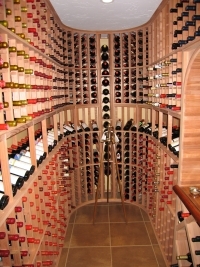 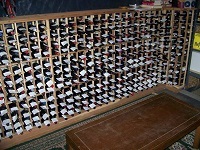 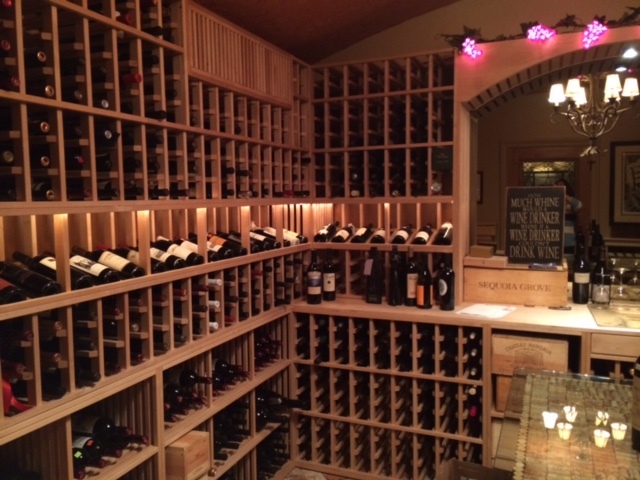 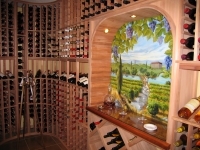 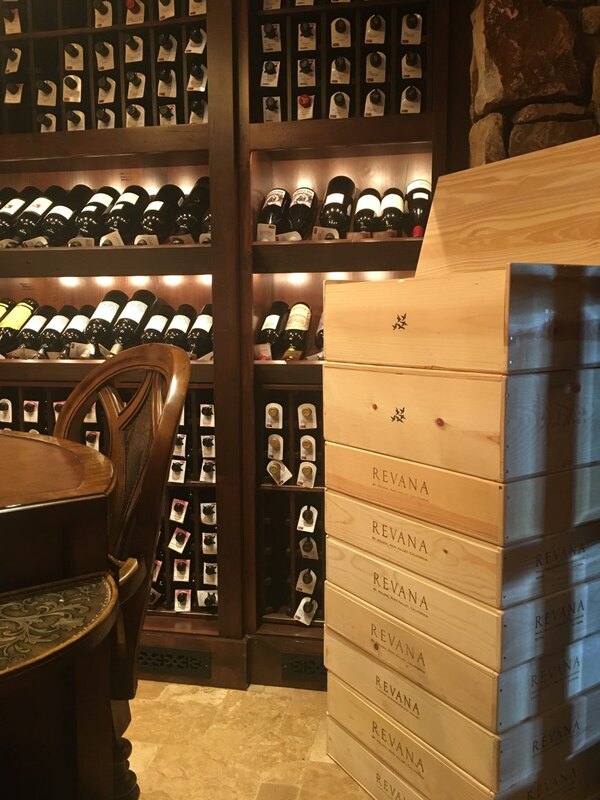 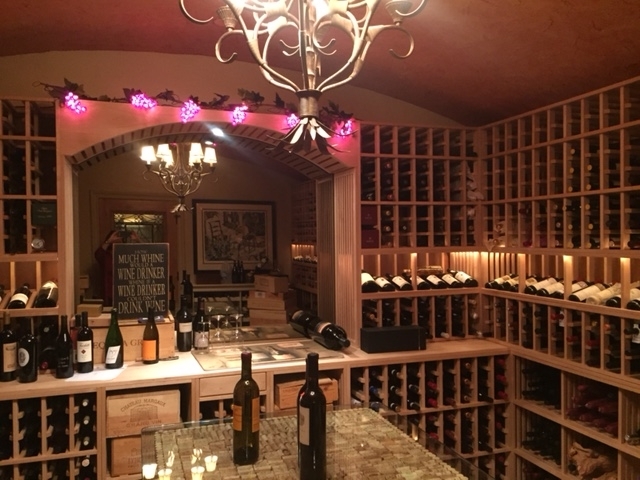 I move bottles around the racks and from wooden boxes for aesthetics and convenience of my wine room. 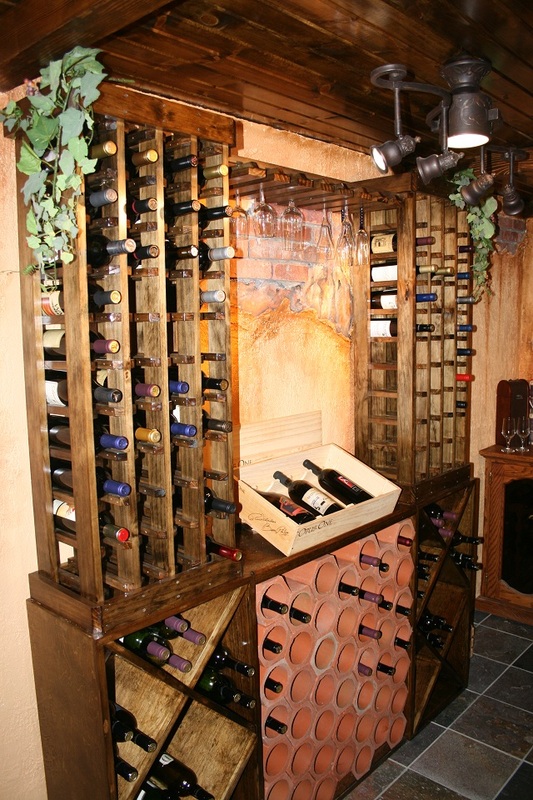 Your product is excellent and your responsiveness is greatly appreciated. 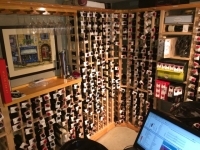 I have thousands of wines and spent six days at 55 degrees F in my cellar entering them all in The Uncorked Cellar wine software.. 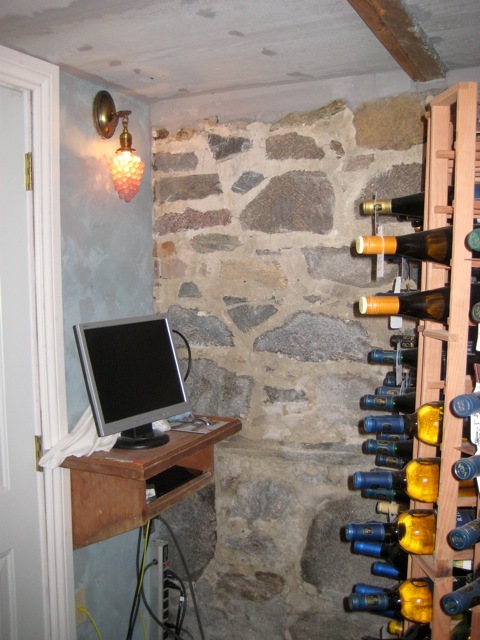 The cellar is 2/3 underground, with 24 inch insulated walls, which we need here in California. 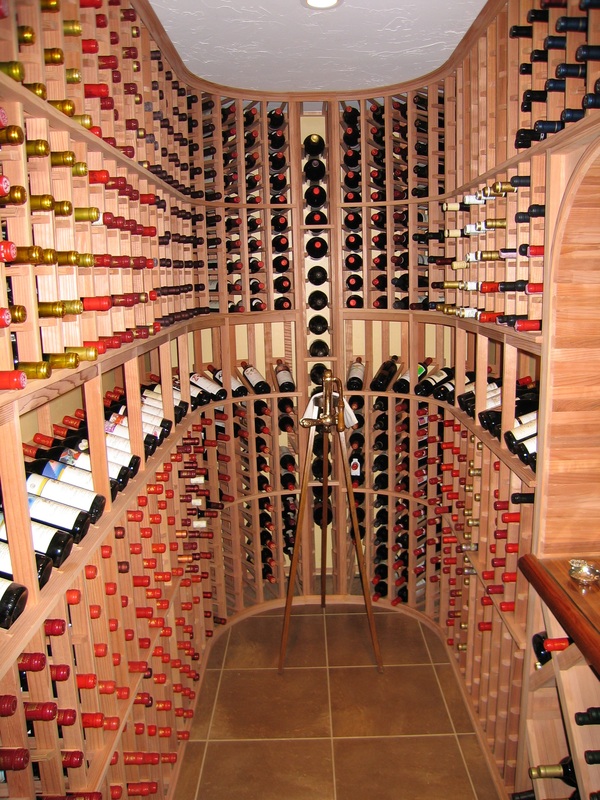 It's really cold down there. 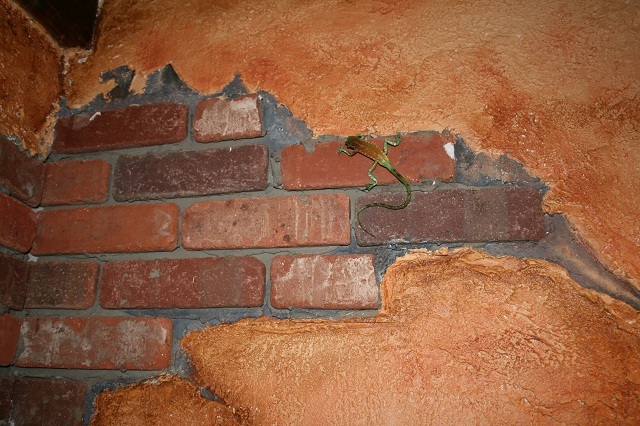 55 to 58 degrees. 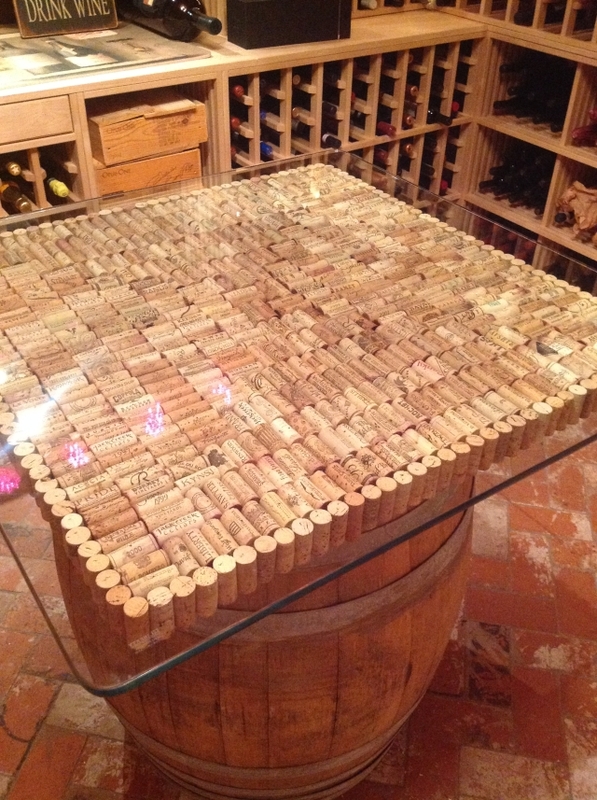 We made the table from a wine barrel with a frame holding glass, under that wine corks from great wines we have had. 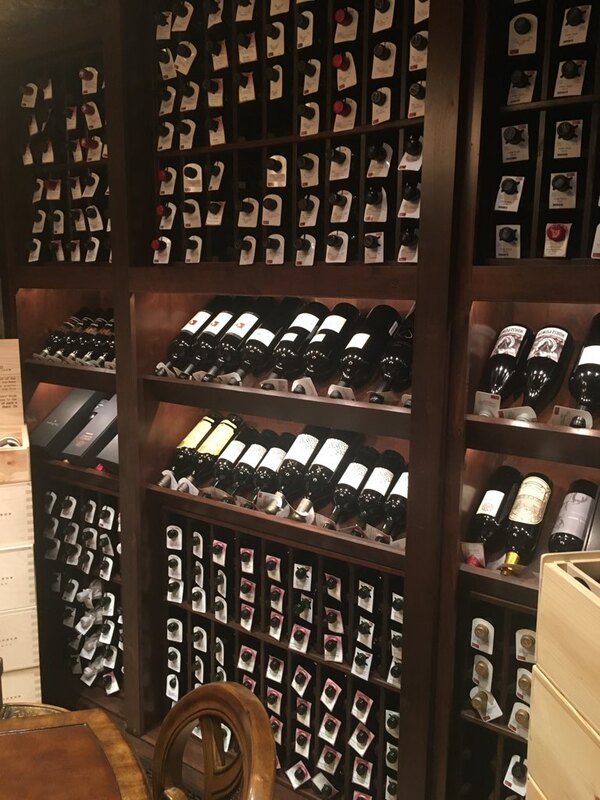 Chris is passionate about wine, and has been enjoying and collecting it for over 40 years. 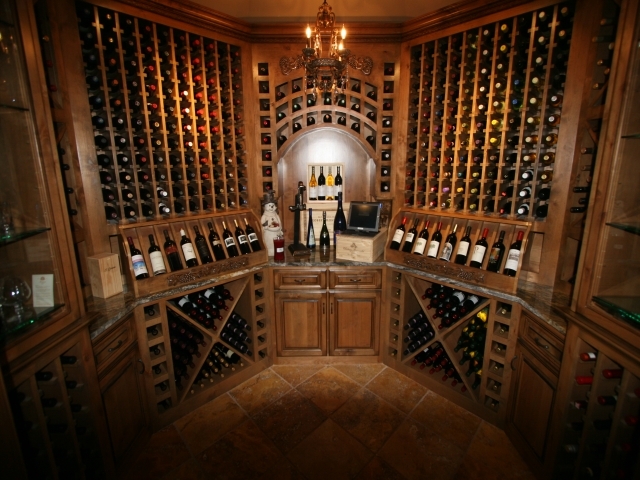 During that time he has built several home wine cellars and runs a blog to share his thoughts on wine he has been drinking. 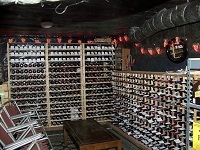 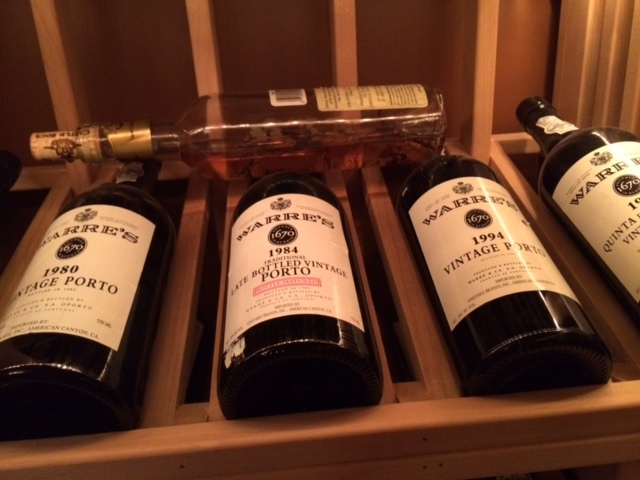 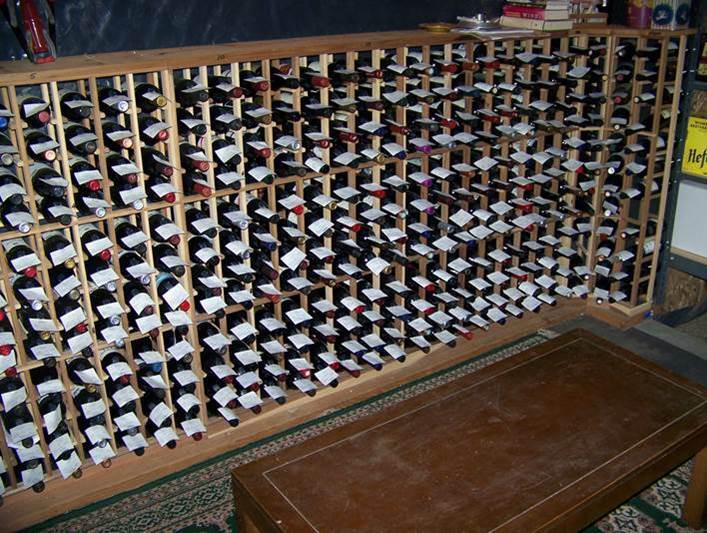 I have wines from all over the world and usually let them cellar for at least 6 to 10 years. 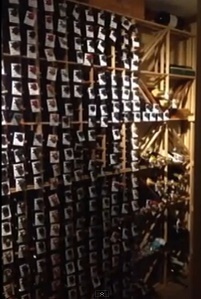 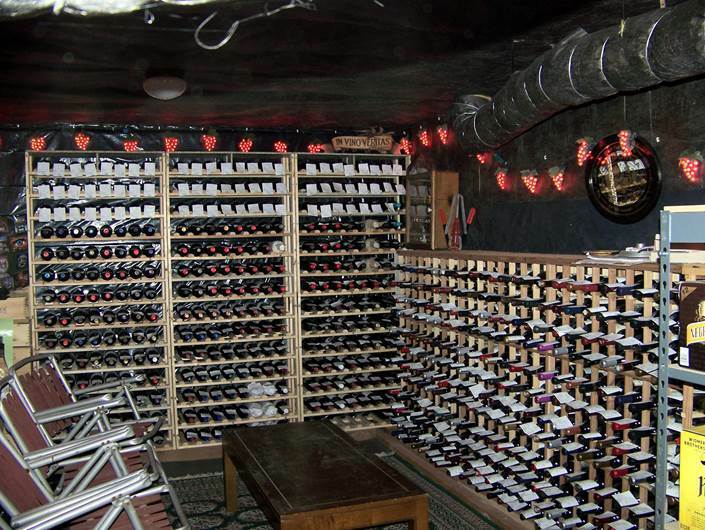 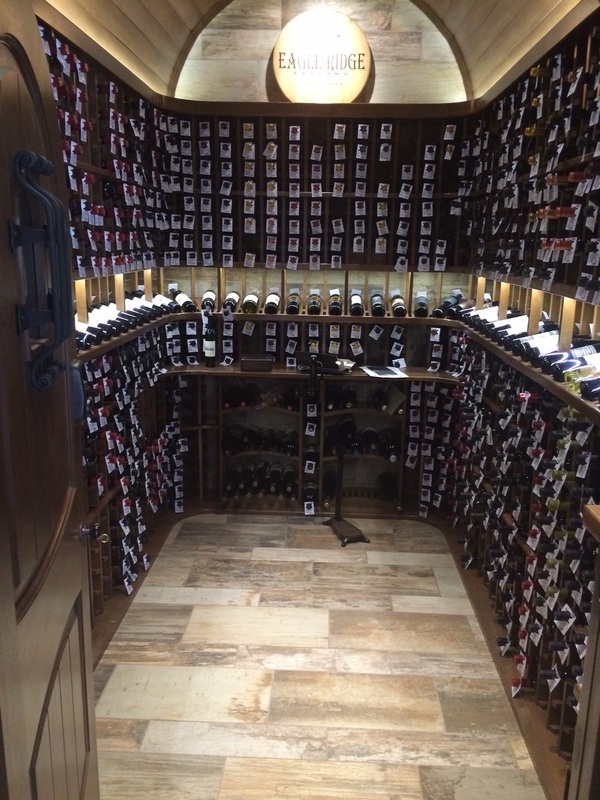 This wine cellar holds about 350 bottles--78 of them chilled. 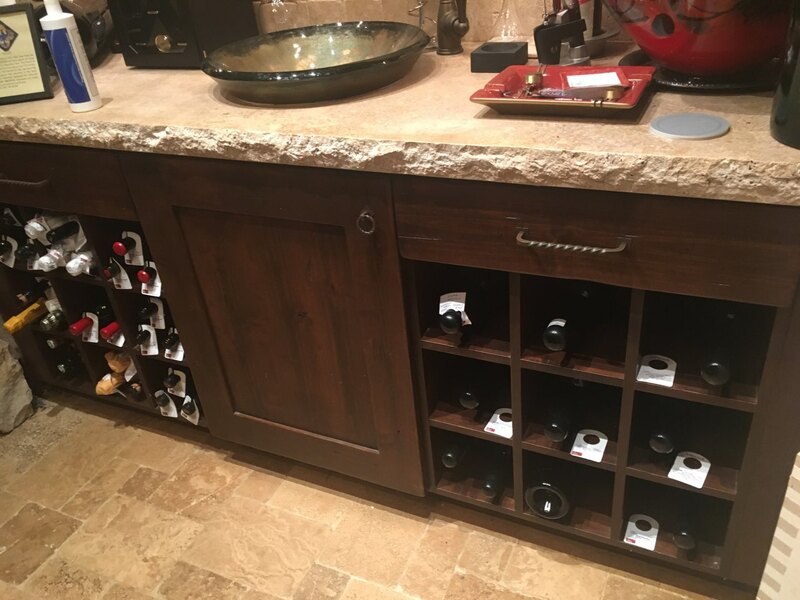 This DIY project took about three months to complete. 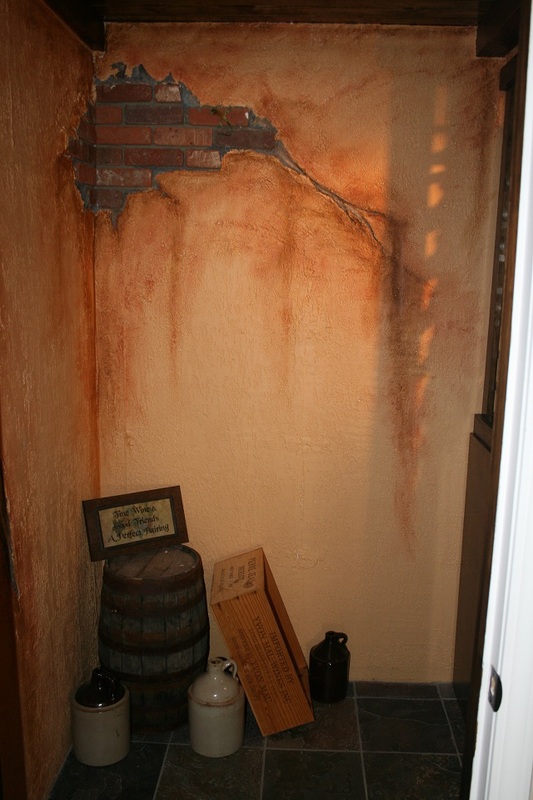 Amazing what you can do with stucco and fake brick! 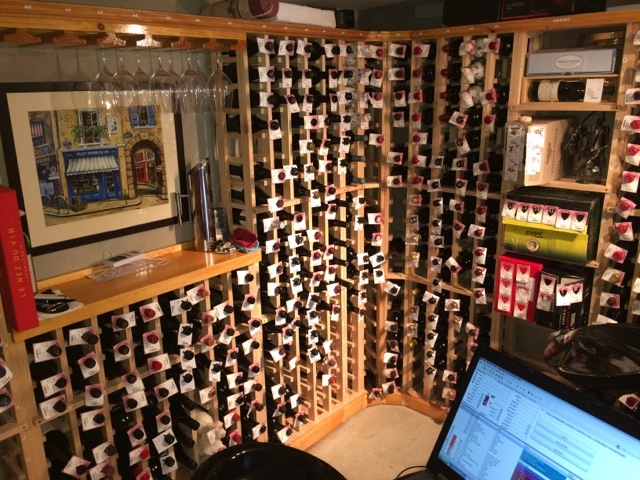 A brief time lapse video of a wine cellar improvement including rack kit construction, reorganization, indexing, and use of The Uncorked Cellar software - it is working out well.